Home / News & Events / News & Events / The Legends are here! As part of the Fort William Mountain Festival, we’re hooking up with the Nevis Landscape Partnership. They’ll be coming into the Lochaber Geopark Visitor Centre from the 6th February to tell you all about what’s happening at the Festival and to show their new Mountain Legends exhibition. During the exhibition, we’ll be running a book launch and signing with our very own Noel Williams. 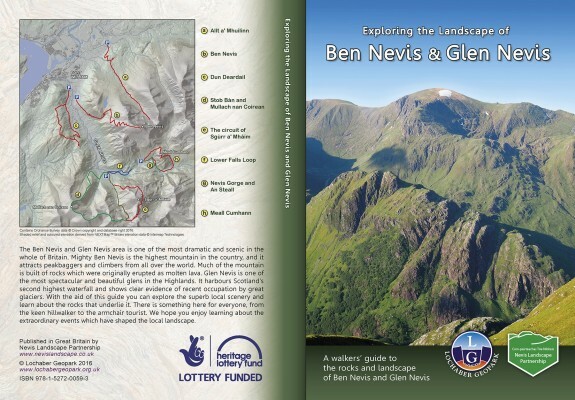 Come into the Visitor Centre from 1pm on the 16th Feb for a signed copy of our new walkers’ guide and geological map, Exploring the Landscape of Ben Nevis and Glen Nevis.